I posted 2 reviews this week (I know!! ): The Evening Chorus by Helen Humphreys and The Thing About Great White Sharks by Rebecca Adams Wright. I read The Wonder Garden by Laura Acampora earlier this week. 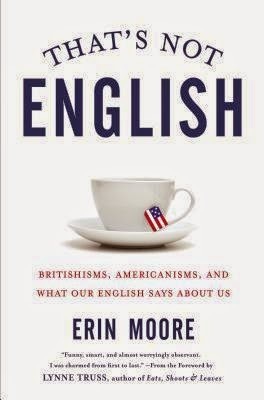 Right now I'm dying of laughter while reading That's Not English by Erin Moore. Seriously, hilarious. I know it's one I'll recommend to every single one of you. Monika, from A Lovely Bookshelf on the Wall, has written a couple of posts that put a big grin on my face. Start with this one: 7 Book Bloggers Who Make me Happy! Then read Book Community Happiness. River City Reading spread more love by talking about new-to-her bloggers that she's recently started following. Thank you to everyone who is out there spreading the sunshine. I love it, I appreciate it, I need it. It's been a long winter, ya'll. "I think it's my adventure, my trip, my journey, and I guess my attitude is, let the chips fall where they may"
Do you dig Stephen King? 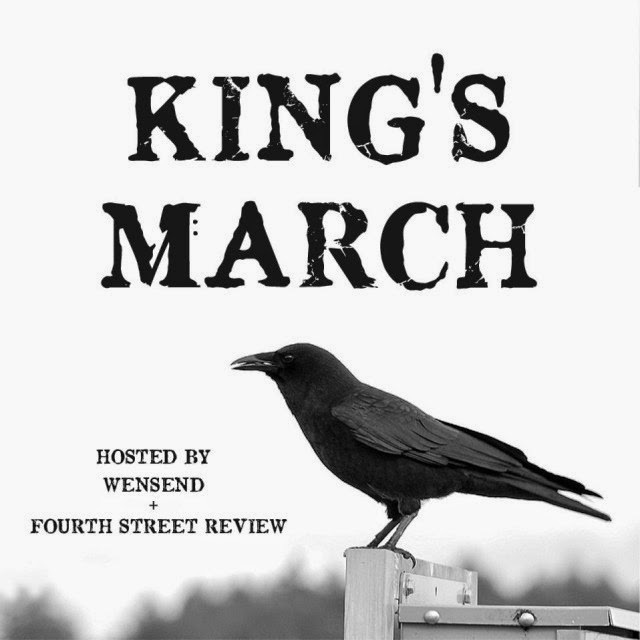 You might want to check out King's March, hosted by Rory and Wendy. 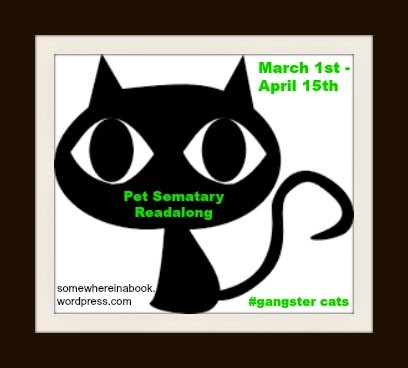 I'm already planning on reading Pet Sematary as part of a readalong hosted by Jill. Two birds, one stone. Fabulous. What's up with you? Do you watch Empire? Do you plan on reading King this month? What are you reading? Tell me a thing or two. I'll have to check out That's Not English..sounds fun! And Pet Sematary is absolutely terrifying! It's an absolute HOOT. I'm enjoying it so much. I read PS back in the day and it was awesome ;) I'm looking forward to dipping back in! What's up with me? Snow. Boooo. Hate winter too. Nope, don't watch Empire, don't have network TV. Nope, don't plan on reading King this month. Read enough of King when I was a teenager to last a lifetime ;). A thing or two: I agree about Monika's posts, and not just because she was kind enough to mention me in one of them, but also because of what you said: about the sunshine. We definitely need more of that in the book blogging community right now. Who could pass up That's Not English? Off to add it to my wish list. And I'm sad about Nimoy, too. We must all live his example and let the chips fall where they may. Glad to hear it. I think every word nerd will really enjoy it! That's Not English sounds like the perfect book to read this week... as I leave for London in fourteen days! I loved the link to Monika's "new to me" blogs. That's Not English sounds great!. I recently found an article that said comprise could be used as compose -- and it threw me -- and my editor's friend into new grammar frenzy. (Not really -- but now I don't have to look at comprise and sigh anymore). You'd definitely get a kick out of That's Not English! It's so funny and so smart and I'm learning a lot too. You can't ask for much more than that. I also love all the blog love that happened this past week - I was so honored to be mentioned by Monika, especially as a new blogger! I'm also DYING to watch House of Cards, but my husband is out of town until the end of next week and if I watch without him I'm pretty sure he'd divorce me ;) Happy reading! Hooray for blog love and hooray for finding new bloggers to hang with. :D My hubby doesn't watch House of Cards so I can do what I want, lol. But yes, do be careful so that you don't end up divorced this year, ha ha! Thanks so much for stopping by, Katie!! That book will be perfect for you, Emily! The confusion, lol ;) I think you need to read and review it because I'd LOVE to hear your thoughts. We're just two episodes into the new season of House of Cards so far and it's already getting pretty twisty. Glad to hear you're liking That's Not English! I'm looking forward to reading it, too. I can't wait to get at HOC. I might watch the last few episodes of season 2 to make sure I remember what in the world is going on. 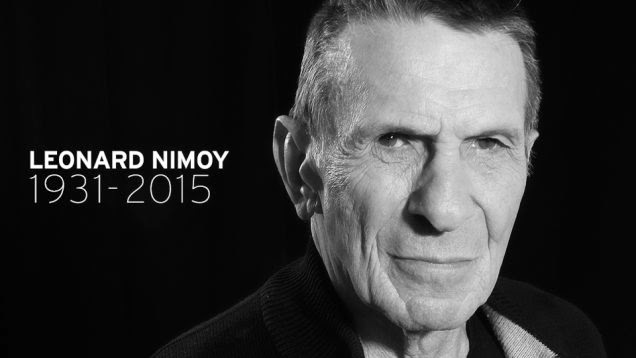 And Nimoy... :'( I'm so sad. Ooh, I hope you're enjoying it. I think it's so funny. Love it! I'm psyched about That's Not English -- I'm glad it's so funny! I'm so excited for That's Not English! Glad to hear you're enjoying it so far. I'm planning on reading Pet Sematary, too! Excited for more Stephen King! Ooh, you should! :D The more the merrier! Oh I can't wait for your review of That's Not English - that sounds like a fun read. Hope you have a great reading month in March! Thank you :D I'll have so much to say about That's Not English that I won't know where to start, lol. I so want to read That's Not English. Reading Eleanor and Park and trying to decide something for King's March. I hope you're able to, it's a hoot :D Ooh, what are you debating between? I enjoyed your post. I like the spreading the love idea.